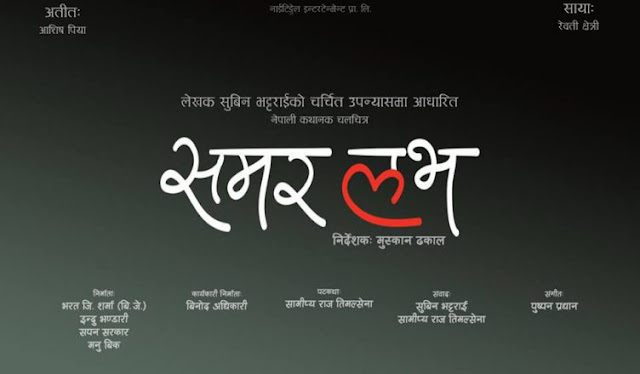 Summer Love is new Nepali movie based on the most popular novel in Nepalese youth “Summer Love”. The role of “Atit” is played by “Aashish Piya and the character “Saaya” will be played by Rewati Chhetri. Summer Love is new Nepali movie based on the most popular novel in Nepalese youth “Summer Love”. The name of the cast and movie team is given below. The role of “Atit” is played by “Aashish Piya and the character “Saaya” will be played by Rewati Chhetri. Muskan Dhakal will be directing the movie while the screen play is written by Samipya Raj Timalsena. Subin Bhattrai and Samipya Raj Timalsena have worked together on the dialogues.